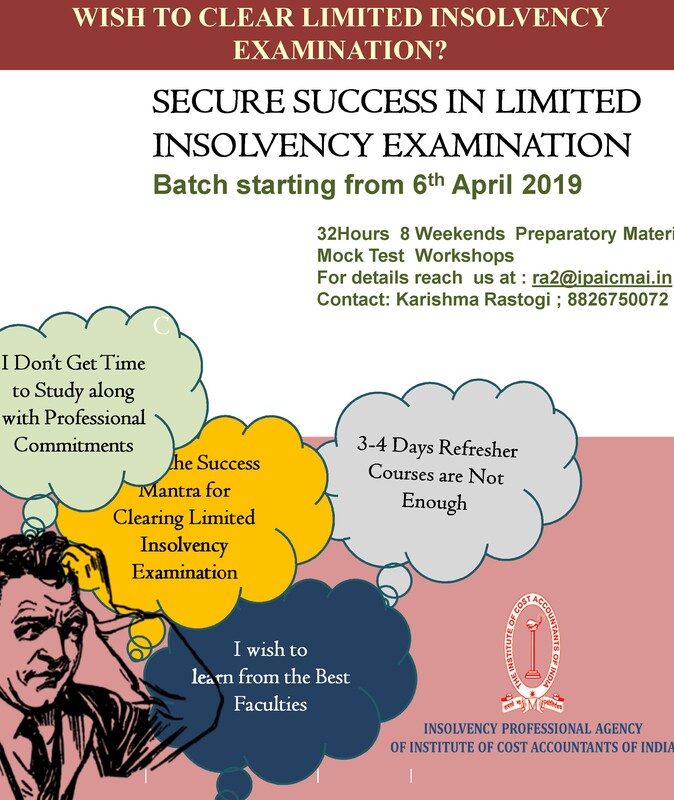 Insolvency Professional Agency of Institute of Cost Accountants of India (IPA ICAI) is a section 8 company incorporated under the Companies Act 2013 promoted by the Institute of Cost Accountants of India. We are the frontline regulator registered with Insolvency and Bankruptcy Board of India (IBBI). 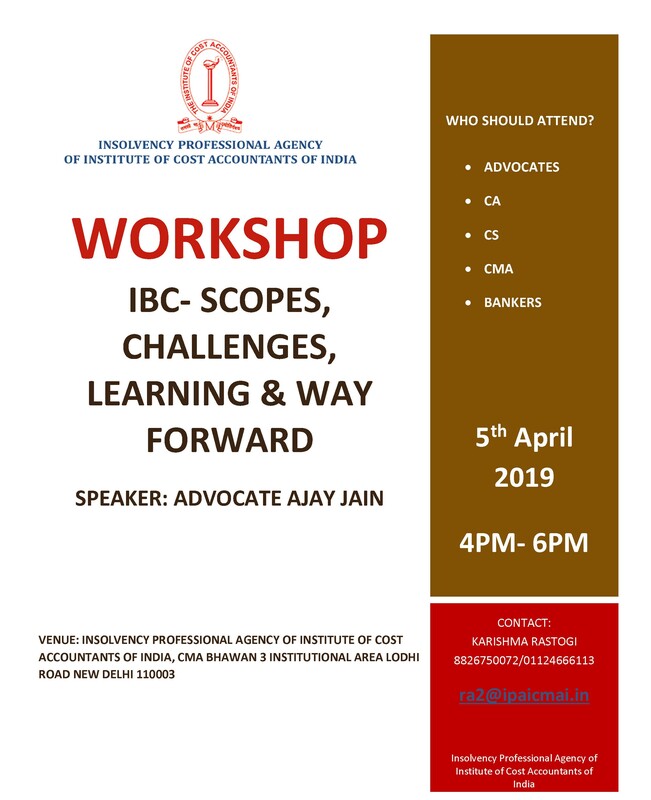 We are given the responsibility to enroll and regulate Insolvency Professionals (IPs) as its members in accordance with provisions of the Insolvency and Bankruptcy Code 2016, Rules, Regulations and Guidelines issued thereunder and grant membership to persons who fulfill all requirements set out in its byelaws on payment of membership fee. Charter on responsibilities of IP and CoC.